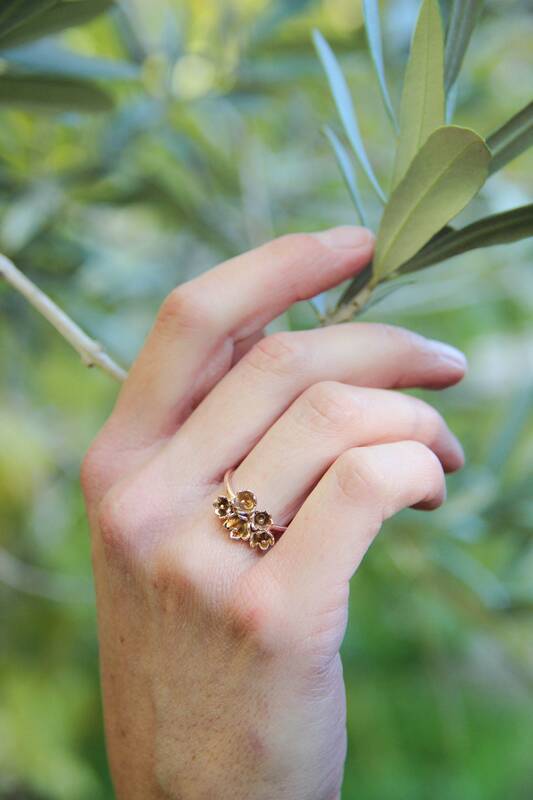 This delightful solid rose gold ring features nature inspired design with tiny lily of the valley flowers. 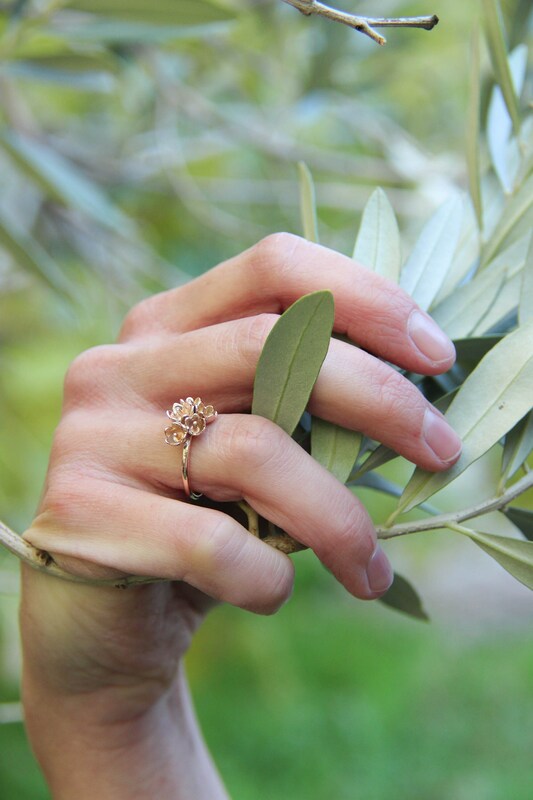 Made from 14K gold, lovely handcrafted flowers are skilfully gathered in small bouquet. 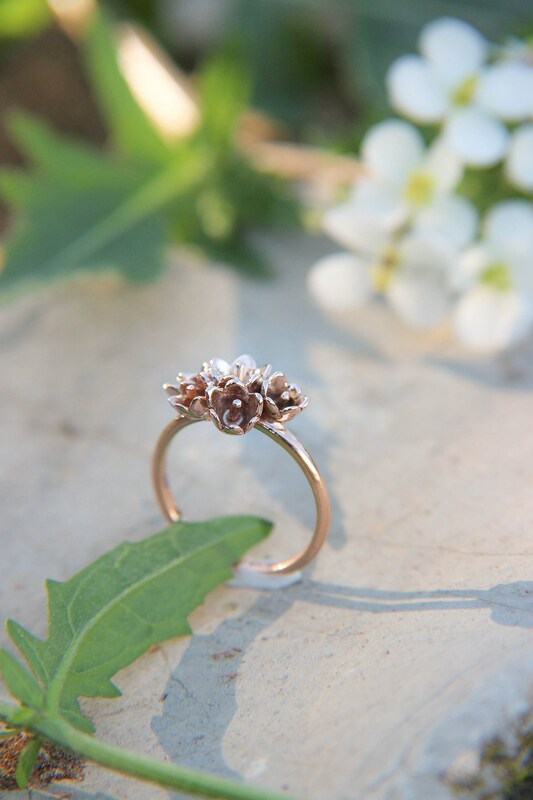 Flowers looks very delicate but gold ring is sturdy and non-catchy. 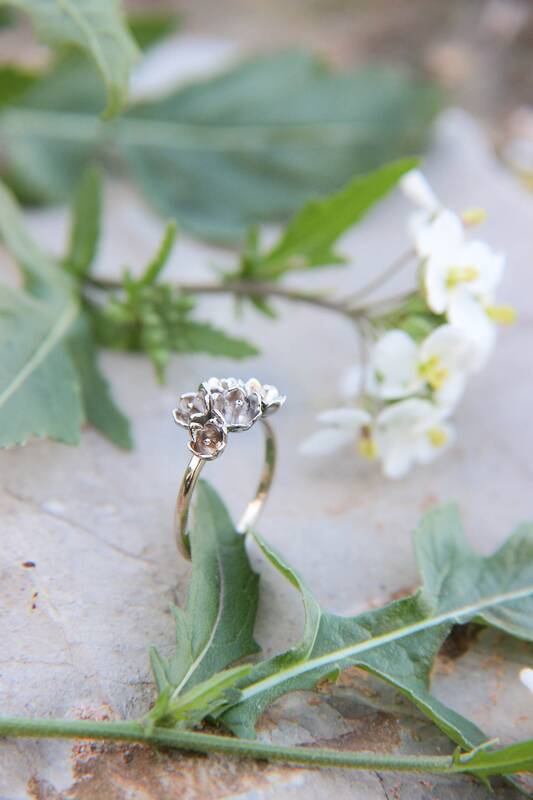 The rose gold engagement ring looks adorable and very tender. 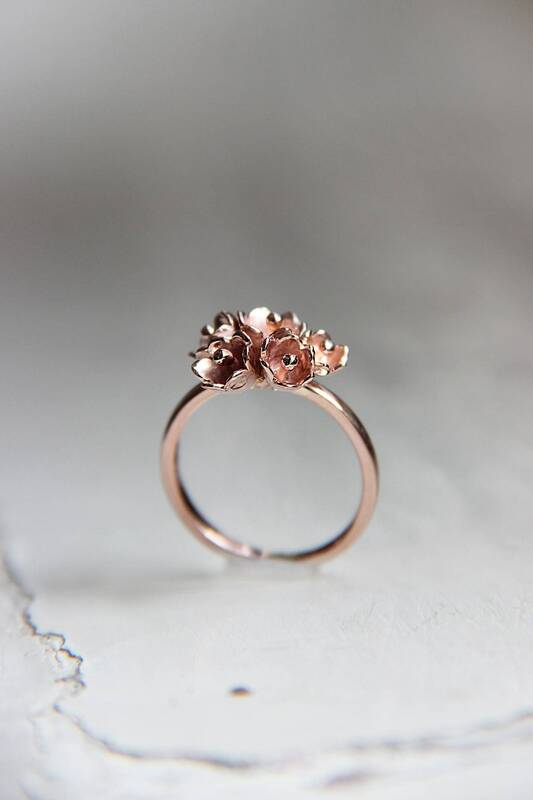 It could be a perfect gift for girlfriend and unique proposal ring as well. 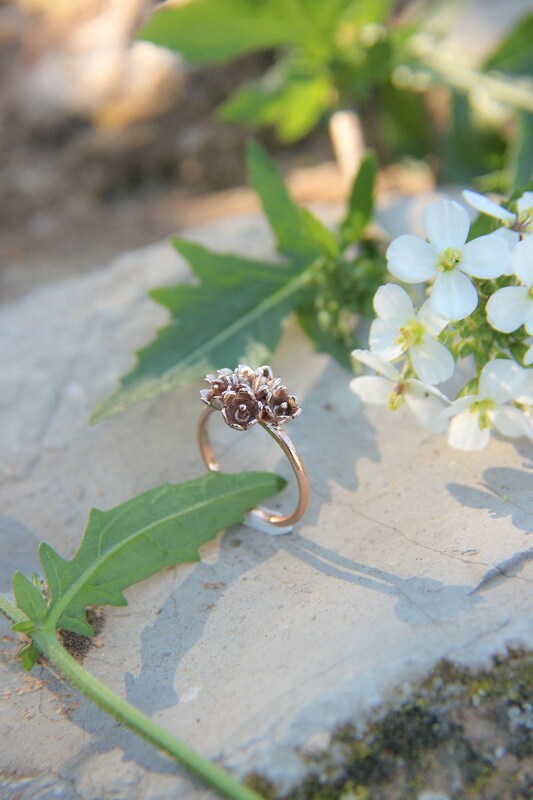 Or just a lovely and heartwarming gift for her! 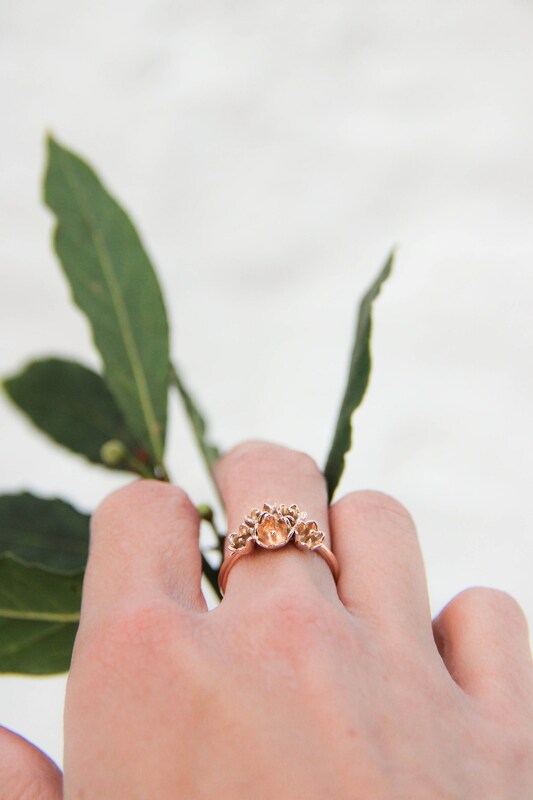 at the moment this ring is ready to ship. 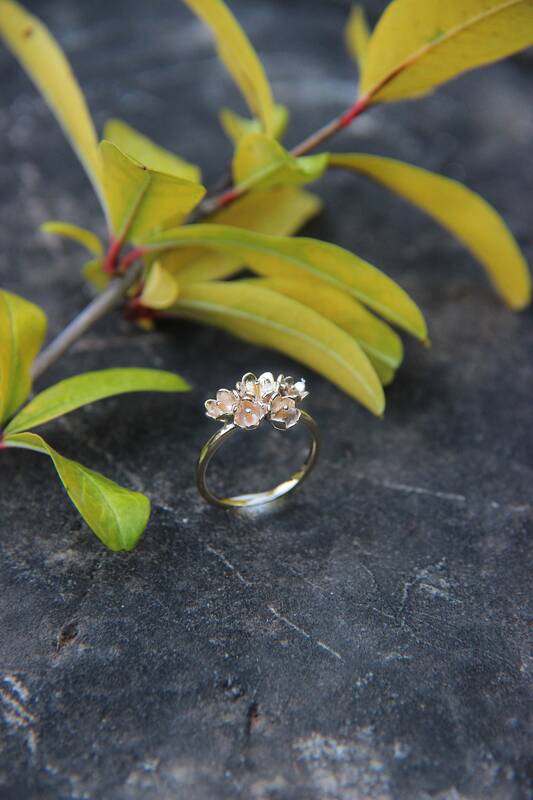 14K, available in rose, yellow or white gold. Last two pictures show yellow and white gold versions. You can choose gold colour in options. Gold weight: about 3,5 grams. 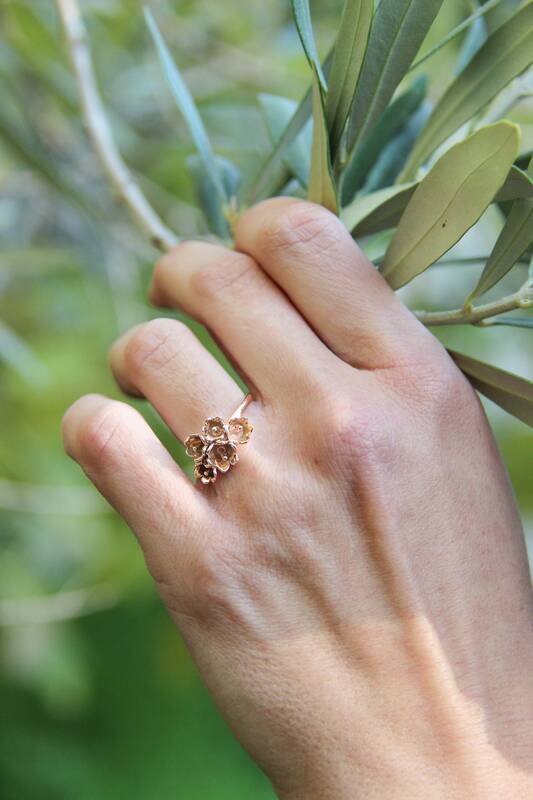 Matching lily of the valley jewelry could be made by an individual request, please don't hesitate to contact. 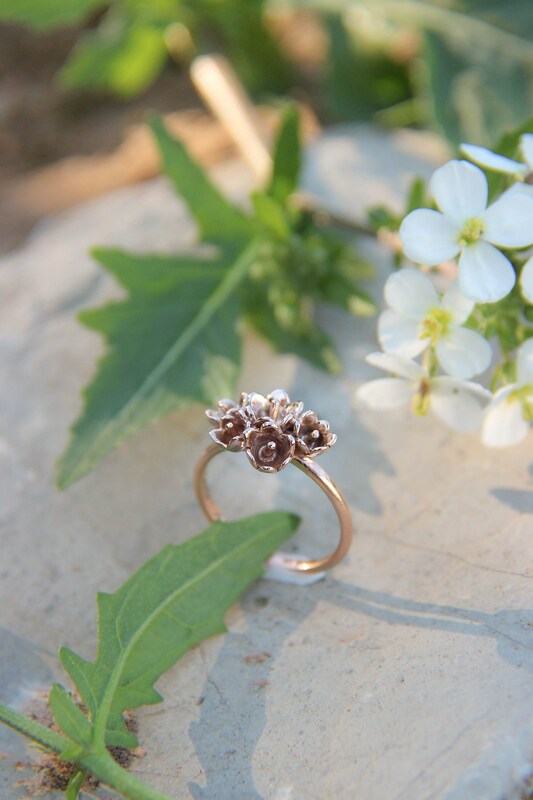 - we specialise in custom handmade jewelry and will be excited to make something unique and individual for you, please contact freely.